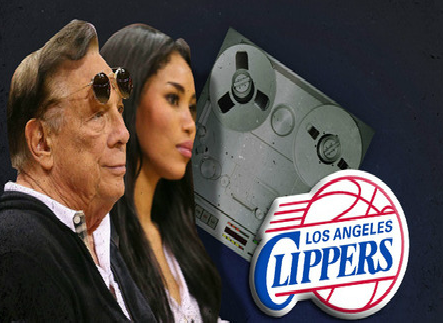 L.A. Clippers owner Donald Sterling was caught on tape making shocking racist comments to his bi-racial girlfriend after she posted a pic of herself with basketball legend Magic Johnson on her instagram page...and it was all caught on tape. You guys need to listen to the tape. It's shocking! L.A. Clippers owner Donald Sterling told his girlfriend he does not want her bringing black people to his games ... including Magic Johnson ... and it's all on tape. TMZ Sports has obtained audio of Sterling making the racist declaration during a heated argument on April 9th with V. Stiviano ... after she posted a photo on Instagram posing with Magic. Sterling rails on Stiviano -- who ironically is black and Mexican -- for putting herself out in public with a black person (she has since taken the pic down). But it doesn't end there. You have to listen to the audio to fully grasp the magnitude of Sterling's racist worldview. Sterling has a documented history of allegedly racist behavior -- he's been sued twice by the federal government for allegedly refusing to rent apartments to Blacks and Latinos. He was also sued by former Clippers exec Elgin Baylor for racial discrimination -- though a jury was ultimately not convinced and shot down Baylor's case. Sterling has been separated from his wife Shelly for years. She remains a key player in running the team and sources tell us she's "mortified" by Sterling's comments.We have made several calls to Sterling and his people ... so far, no word back.